Inconspicuous on its western aspects, Mt Milneʻs mighty south face and the Cleft it rises out of are one of the great features of the central Darrans. Milne is incorrectly marked on topomaps as Mt Tarewai. 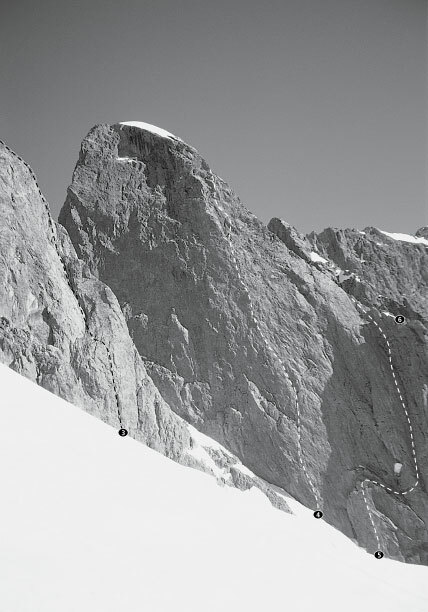 Climb the slabs of the northern side then follow a right-tending ledge system as it move into the centre of the face, avoiding the steep north-west aspects. This route is used as the common descent off Milne. Nine pitches to the summit on good rock. Dave Bamford, Kevin Helm, Feb 1980.